All sound examples are me playing, except the Bach Prelude in C.
The second sonata in Beethoven’s 14th opus starts with a glimpse of one of the future styles of the composer. Until now, practically all the fast movements in the sonatas have been build on the principle of contrast: it starts with a quite defined character and after a while follows another character, more or less contrasting. This is, of course, a good way to build a drama. Just like a movie presents different characters and the story builds on how they will interact with each other. As we have mentioned earlier, this is why a classical piece can be quite long, unlike a pop or rock song, which in 99% or more of the cases has one tempo and one character, or for that matter a Chopin Nocturne (no piece is neither of better or worse quality because of its length). But Beethoven being Beethoven always wanted new territory in how he constructed his music. He is now trying to achieve momentum through seamless “evolution” of the music instead of dramatic contrasts that we see in the earlier sonatas. The music grows like a plant in nature, to use a popular analogy. So, now the movie analogy does not really work too well. Very difficult to watch a movie with only one personality in it (unless it’s like a pop song, three minutes long, therefore what they call a short movie). But I think there could be a certain closeness to poetry – poetry often has this quality of focusing on one thing: a word, a person or a thought, and it grows out of that thing. 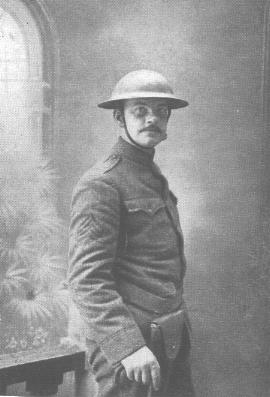 Let’s take one of my favorite poems as an example, The House with Nobody in it by Joyce Kilmer, a poet and journalist from New Jersey ( born in 1886, he died already in 1918 as a soldier in the first World War). I always get a bump in my throat and wet eyes reading this, and that’s the truth. I know critics think it’s sentimental but I don’t care. May I quote the whole thing? So, the house is what starts the whole poem, and with it, the poet builds all kinds of pictures and emotions and thoughts. But still, the flow of not being “disturbed” by some other subject is important to the form and content, wouldn’t you agree? It is a bit the same with Beethoven’s “seamless” style, which feels, in most cases…poetic. Therefore, this first movement is quite lyrical, and has a pastoral character. To be honest with you, I re-recorded this movement, after having it all recorded, edited and done. The reason was that I felt that I had misunderstood the music, I played it like a typical fast Allegro movement instead of bringing out the lyricism. Of course, this doesn’t mean Beethoven abandoned the style of writing music of great dramatic contrasts. His most extreme piano work built on contrast, the “Appassionata” was still to be composed. But his interest in composing music “without corners” so to speak, was increasing. He wanted to tell a story where each action sprung from another in a natural way. It is like a river with flowing water running in a steady, beautiful stream underneath. The beauty of this is that at the same time as there is melody, and movement, the gentle flourishes of sixteenth-notes also create harmonies that moves the piece forward and puts even more beauty in the music. 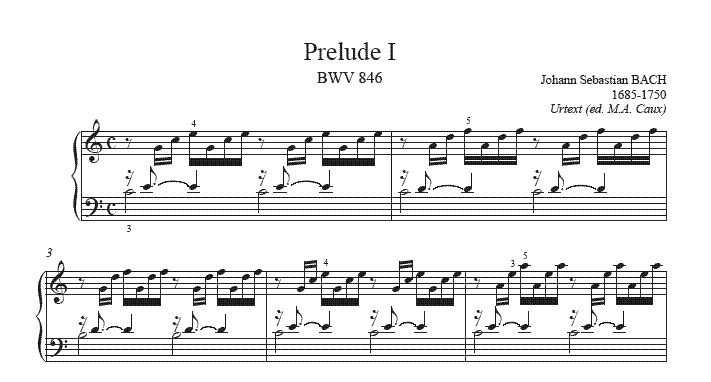 Now, where would Beethoven have gotten this idea from to start a piece as a sixteenth-note movement in this lyrical way? My guess is J.S. Bach, the composer Beethoven studied and played the most as a child, playing his pieces on both piano and organ. Same principles. And yes, how beautiful it is. Time stops when that Prelude starts. This technique was also used quite frequently in improvisation, I believe. Take Mozart’s Fantasy in D minor, for example, or the Moonlight Sonata for that matter that is an improvisation written out. It did not hurt that Beethoven was perhaps the best improviser that ever lived. 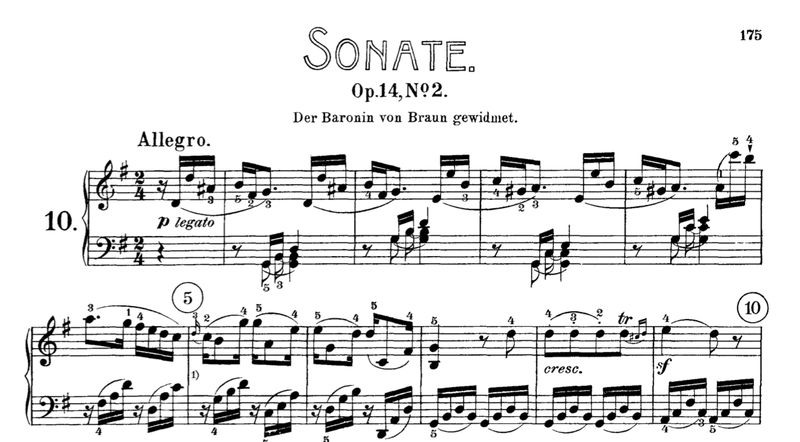 Beethoven is doing something in the Sonata that Bach does not in the Prelude, though: a subtle trick on our ears during the first bars of this piece. If you listen to Fur Elise, it is clear where the beat is, right? Yes, where the ugly clicks are. Ah. The click that ends up on your “4” is actually the real beat, where “1” should be. Beethoven just tricked our ears for the first three clicks, with the result that it feels like the music is having a very beautiful hiccup. The movement of sixteen-notes continues almost without exception throughout the whole exposition. There are no large contrasts. 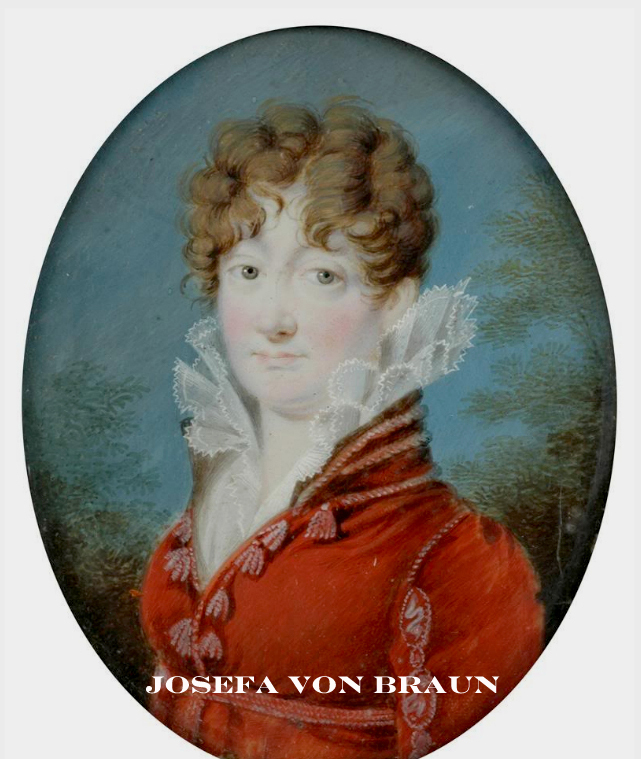 This music is very far from Beethoven’s early sonatas in style. They were jumping from one expression to another, while this movement is floating like a nice river. The “bridge” from the first theme to the second is of great beauty and a genius way of composing. Beethoven leaves the Bach-like style of sharing the notes in both hands like a pearl neckless, and goes to the most clear-cut Viennese style music you can think of, a clear melody with a so-called Alberti-bass in the left hand. Ta talk more simply: a melody with accompaniment. Thanks to the left hand’s rolling movement, the music gets a gentle push in energy. And that is just what is needed to get the music to start moving into another tonality. It is so seamless and subtle, and always very beautiful. When the music reached it’s goal, the dominant, the second theme is quite different BUT: it shares the attribute of having the underlying sixteenth-notes present. We have finally come to a part with contrasts. However, the contrast is more between the exposition and development than within the exposition, as in Beethoven’s earlier sonatas. And note that Beethoven is using the same theme for the dramatic section as in the beginning. This makes the contrasts more “glued together” and less confrontational. A little bit like someone who is conflicted and torn within, rather than two people fighting. However, the very last notes of the development is so charming and ends as if to have us think that it was merely a little detour on our sunny, pastoral trip through this movement. And it was. This is my second favorite piano sonata. My first being the Waldstein. As I’m studying sonata’s can you explain period form and how to compose melodies in that manner? I can compose melodies but I don’t know how to structure it properly.